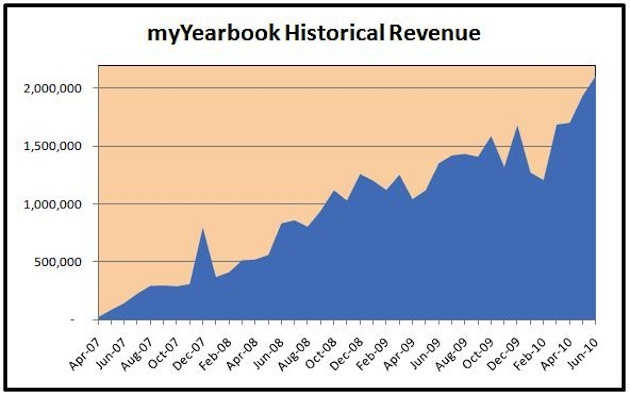 This guest post is written by Geoff Cook, cofounder and CEO of social networking site myYearbook. It describes the challenges of running a startup from New Hope, PA — a small town whose other notables include Chris Fralic of First Round Capital and members of the indie rock band Ween. Here he offers his perspective on running a venture-backed startup outside of not only the Valley, but also of any tech hub. For as many companies that receive rounds of venture money and move to the Bay Area, you would think the land of microchips and tweets is the land of milk and honey. As an individual company navigating the competitive landscape of social media, we’ve found it helpful to buck conventional wisdom, while making monetization a part of our DNA. While I love the Valley and visit almost every month given the thriving ecosystem there, I’ll always come back to New Hope. New Hope is a small town of 2200 people on the Delaware River in Bucks County, Pennyslvania – about 30 minutes from Princeton, NJ and an hour’s train ride from New York. There is talent here – the chart below shows revenues up dramatically with 64% growth since the start of the year. We employ 80+ people – most of them local to New Hope. In each of the last four months, we hit a new monthly revenue record for the company while growing uniques 22% and time spent 50% since the start of the year, and I believe New Hope has something to do with it. From the beginning, our location has posed certain challenges, initially with fundraising. A few potential Series A investors based on the East Coast could not overcome the location, encouraging the company to move to San Francisco, New York, or Boston – anywhere but Pennsylvania. At the same time, we felt pressured to raise significantly more money than we’d asked for. Certain people would have jumped at the opportunity to move to a big city and spend a pile of money, but we passed on the deal. We passed because we felt our location had certain advantages and because we thought it best not to raise more money than we knew what to do with. Our guidance came partly from an early angel investor, Terry Herndon, an MIT Lincoln Labs engineer who invested in my first company as well. We generally agreed that our only goal was to build a good, viable, growing business. Hoping that West Coast VCs would be less location concerned, we did the Sand Hill Road tour. Suddenly, our location was no longer a factor. Now we had VCs coming to New Hope and even offering to do board meetings out here. Our Series A round came together when I mentioned to Rick Lewis, of USVP, an established early-stage VC firm on Sand Hill Road, that I would be out of pocket for a week moving my brother into college in Boulder, Colorado. He flew to Boulder, put a term sheet on the table over lunch, and we had our lead investor for the amount we initially requested. For a company outside the Valley, it has also helped to have a local venture capitalist involved in the company. We were fortunate that Chris Fralic, a partner at First Round Capital, happens to be one of the 2,200 people who live in New Hope. He walked in to our offices unannounced four years ago and started asking questions. Soon thereafter, First Round joined the Series A and went on to become among the most prolific investors of the last five years – with offices in West Conshohocken, PA, and now also in San Francisco and New York. Having two well respected investors in the Series A made our Series B led by Sergio Monsalve of Norwest Venture Partners that much easier. The local Starbucks is treated to three venture capitalists now on a regular basis. While we didn’t realize it at the time, our early decisions to stay put made us natural contrarians on topics we may have viewed differently had we been in the Valley. We worried from the beginning about revenue exceeding costs and about spending money carefully – which seemed “backwards” at the time – before RIP Good Times made it momentarily trendy to be cost conscious. In particular, we deemed it reckless to press the pedal to the floor and head for a cliff, on the assumption that we’d have built a rocket ship before we went off the cliff. The hesitation was not that we didn’t think we could build a rocket ship, but that we only had one set of astronauts. To this day, we don’t see the outcome as binary, either 0 or $1 billion. Instead, we are always focused on the user – building the best place to meet new people on the web or mobile phone. To get there, we embrace scarcity as the lifeblood of innovation and consider living from round to round of venture money as an all-too-easy addiction for a company unable to find focus, weigh priorities, and make the difficult decisions required of survival. In short, being viable became part of our DNA. When Facebook opened up its platform, it seemed as if every other social site followed. Meanwhile, we continued to focus on building proprietary applications and games to meet new people, bound together by an integrated virtual currency. We were never interested in having all the same games and applications as you could play elsewhere, and being outside the Valley, were less exposed to the pressures to follow the leader. Instead, we focus on product innovation and differentiation. We built the Chatter stream for meeting new people near you that now does over 1 million posts per day. We also focus on monetization, with virtual goods now driving more than one-third of our revenues. That being said, we do recognize the important role the ecosystem of the Valley plays and how important it is to participate in it. Through aggressive business development efforts in the Valley and a business development office in New York, we’ve established a number of partnerships with companies like Meebo, IMVU, Weeworld, and Arkadium, among others. 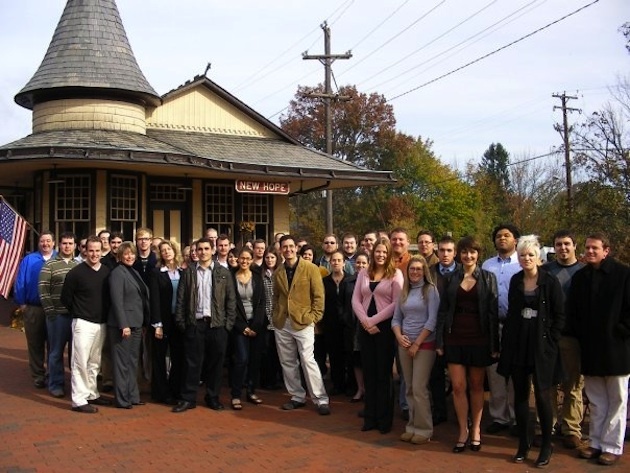 One concern we often hear is about hiring: how can you find quality people in Pennsylvania? I would argue that good people are hard to find anywhere, and that the talent pool here is strong, between the Princeton-area of NJ and Bucks County, PA. We recruited our engineering team mostly from nearby schools from Lafayette and Lehigh to Rutgers and Penn State, and we brought in talent from California, Texas, and Florida to supplement the local team. On the sales side, we have a 15-person sales and business development office near Penn Station in Manhattan that is rapidly expanding and easy to take day trips to from New Hope. We believe creating good jobs is one of the many roles of a strong startup, and that transplanting a promising company away from its birthplace is sensible for neither the startup nor its community. But the best part of New Hope is the impact it has had on our culture. There is a small-town and family-feel to New Hope that fosters the sense that we are all in this together, working to make the best site we can for our users. Our people head downstairs to the brewery after work and take short walks for coffee along the river during the day, creating a nurturing environment for innovation and a good environment for sustaining the long hours required of growth. Our location has helped shape our product and our culture, and I wouldn’t have it any other way.